Mike Shaffer was driving the race on Saturday when the clutch went out, “To shift I had to match the RPM of the engine to the transmission! If I didn’t get it right and missed the shift, I would have to slow down and try to get it in a lower gear.” He didn’t quit though, he continued to race and lost first place by only 3 minutes. They pulled the motor out and thought that they would have to search everywhere for parts that night. “Actually, Kartek had everything in the truck to fix it! It was perfect, they really saved the day,” recalls Shaffer. They got #401 ready to run again within a couple hours. On Sunday the car performed to spec. The track, which had been used for hundreds of laps by the time Class 4 got the green flag, was brutal. “The track wasn’t too bad on Saturday, but on Sunday the back straight away was so rough it blurred your vision,” said Shaffer. Shawn Twitchell drove the 7 laps with as much conviction as possible and took second by only one minute. The finishing points for these races were low, so the contention for the SCORE Class 4 Championship is still on the horizon. 12 points separate them from first. “Bottom line is we need to beat them at the next 3 races.” Lots of pictures from the weekends race are available at www.facebook.com/shaffermotorsports. Shaffer-Motorsports next race will be the SCORE Mastercraft Safety Tecate San Felipe 250. 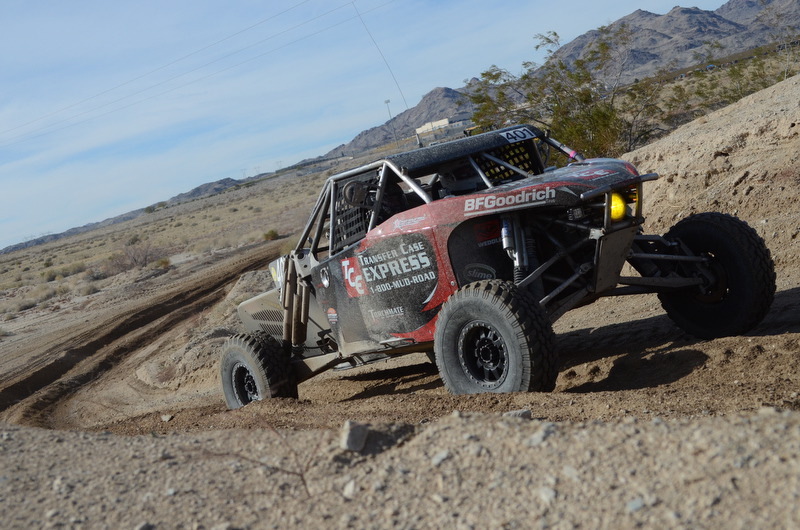 Transfer Case Express (TCE) has been a great addition to the Shaffer-Motorsports Team. Transfer Case Express has been in business since 1998 and specialize in American transfer cases carrying New Process, Dana and Borg Warner brands. TCE has two remanufacturing centers, one in Oakland California and one in Spartanburg South Carolina where new and remanufactured American transfer cases are available. Mike Shaffer has been racing for 28 years, starting with BMX and then age 16 in drag racing and his first desert race was fifteen years ago. Shaffer was driver of record for the 2011 SCORE Tecate BAJA 1000, finishing 2nd in class for the team’s first participation in Class 4. Shaffer was also driver of record for 2011 BITD Championship, finishing 3rd in class for the team’s first participation in Class 10. Shaffer was also driver of record for 3 Baja 1000 wins, 3 SCORE Championships and one BITD Championship in Class 1700, along with rock crawling National Championship and ARCA Championship. Mike Shaffer is the owner of Shaffer’s Offroad that helps customers build the vehicle of their choice, from bolt on accessories to custom one off vehicles. Shawn Twitchell started desert racing motorcycles in 1972, went to drag racing in the 1980′s, circle track in the 1990′s and is now back in the desert driving with Shaffer-Motorsports. 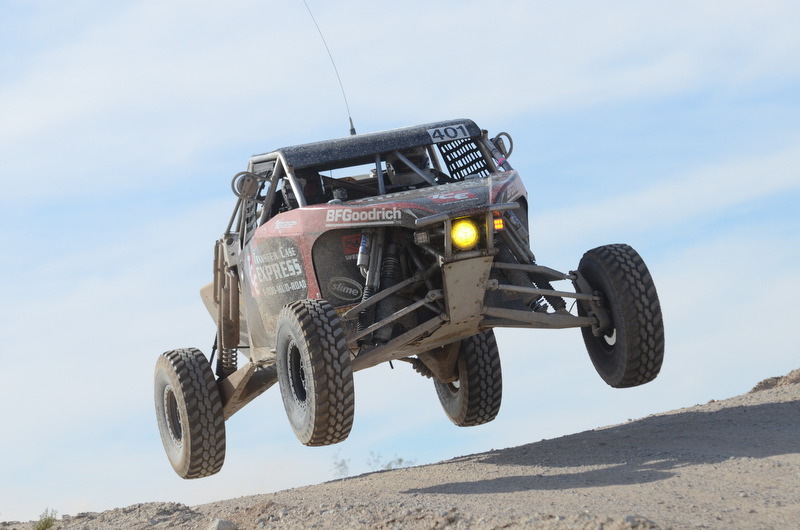 Twitchell was a driver in the 2011 SCORE Tecate BAJA 1000, finishing 2nd in class for the team’s first participation in Class 4. Twirchell was also driver for 2011 BITD Championship, finishing 3rd in class for the team’s first participation in Class 10. He has been a member of Shaffer-motorsports team since 2008 helping win three SCORE 1700 Championships. Twitchell is the Business Unit Manager for FMC Technologies’ Technisys Group. Desert racing is in their family encompassing four generations including his son Ian, who will co-drive for Shawn. Two of seven grand-kids are already earning their stripes in the pits and at the shop. Daniel Aeberli has raced with the Shaffer-motorsport team since 2010. He was a driver in the 2011 SCORE Tecate BAJA 1000, finishing 2nd in class for the team’s first participation in Class 4. Aeberli was also driver for 2011 BITD Championship finishing, 3rd in class for the team’s first participation in Class 10. He also drove the first section of the 2010 SCORE Baja 1000. Aeberli was with the team in 2010, helping them win SCORE Primm and Class championship in Class 1700. Daniel Aeberli is the CTO of MediTron S.A. a Swiss medical distribution company that he co-founded over 20 years ago in Switzerland and President of M.D. Visuals a medical consulting company in Stateline, Nevada.